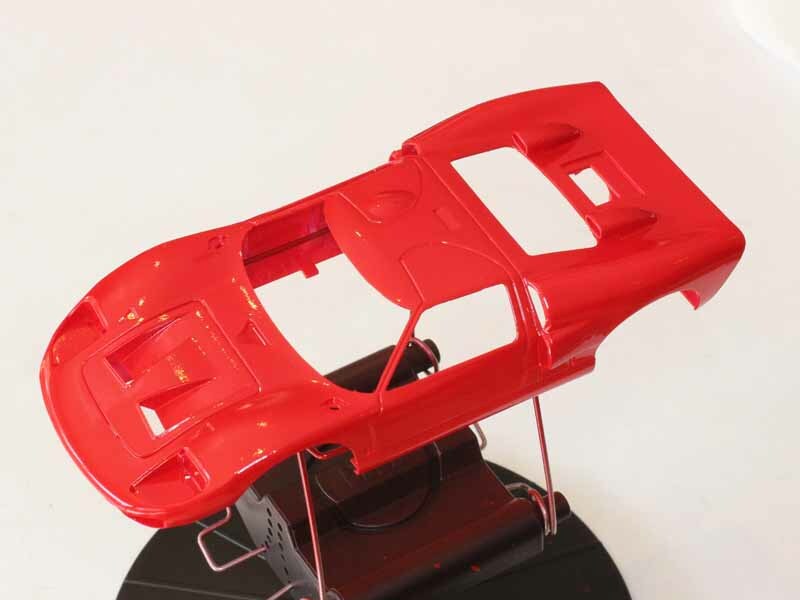 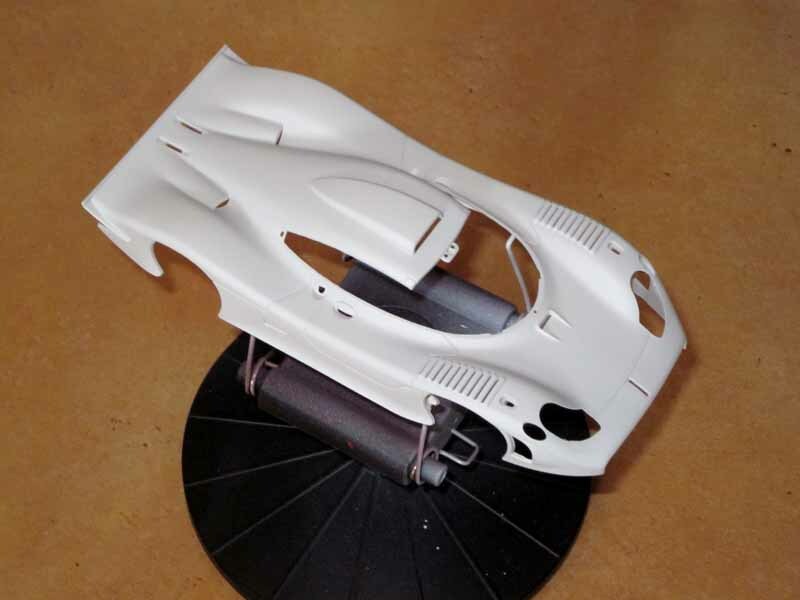 The Slot.it CA20Z is Ford GT40 supplied as a ‘white’ kit which requires assembly and painting work. 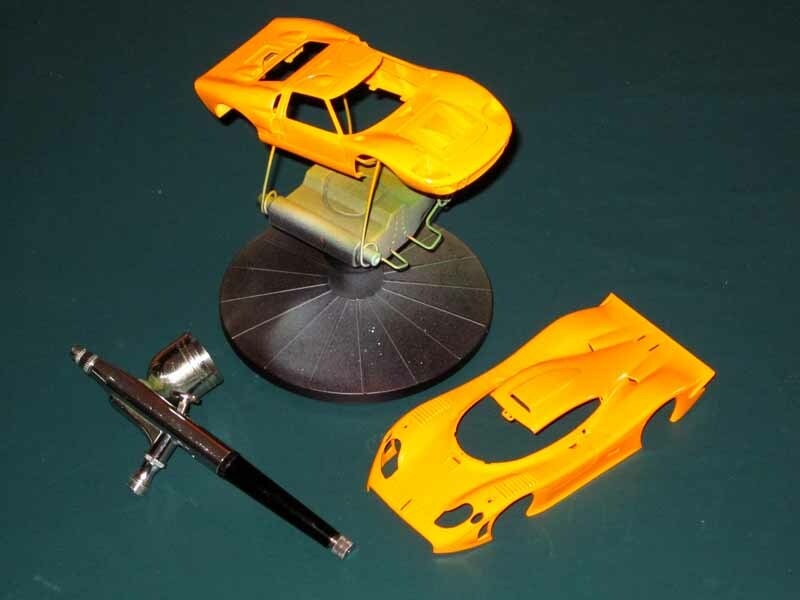 Above is the part assembled bodies for a CA20Z and CS23B after painting with Vallejo 73.601 grey primer surfacer and two full coats of Tamiya X-6 acrylic gloss. The inexpensive Chinese airbrush pictured has been used for a few bodies, and worked very well.